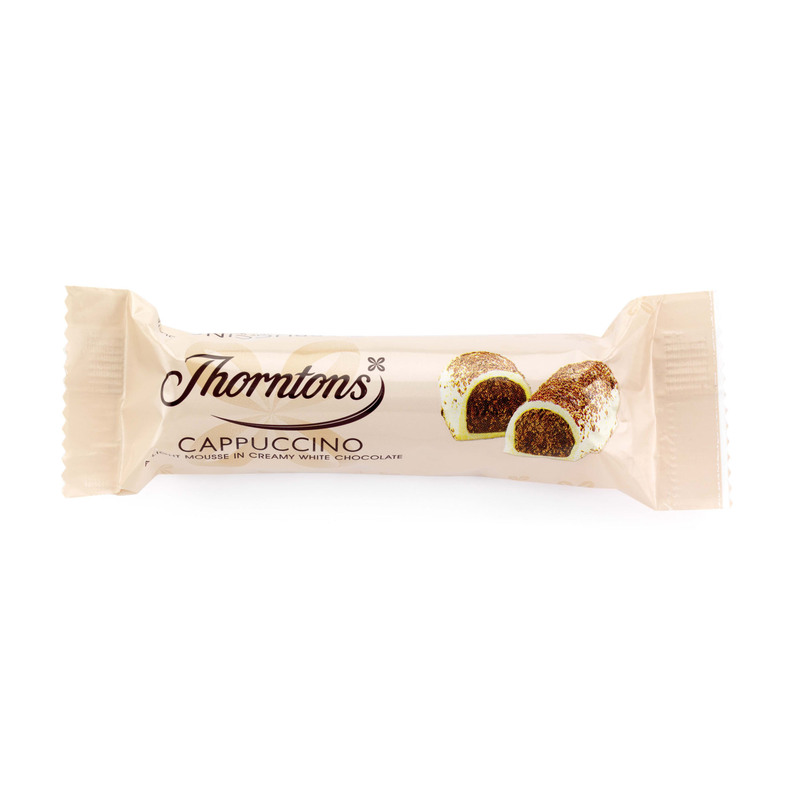 Coffee and chocolate are a classic combination and our Cappuccino Bar is the perfect choice when you’re in need of a chocolatey pick-me-up! 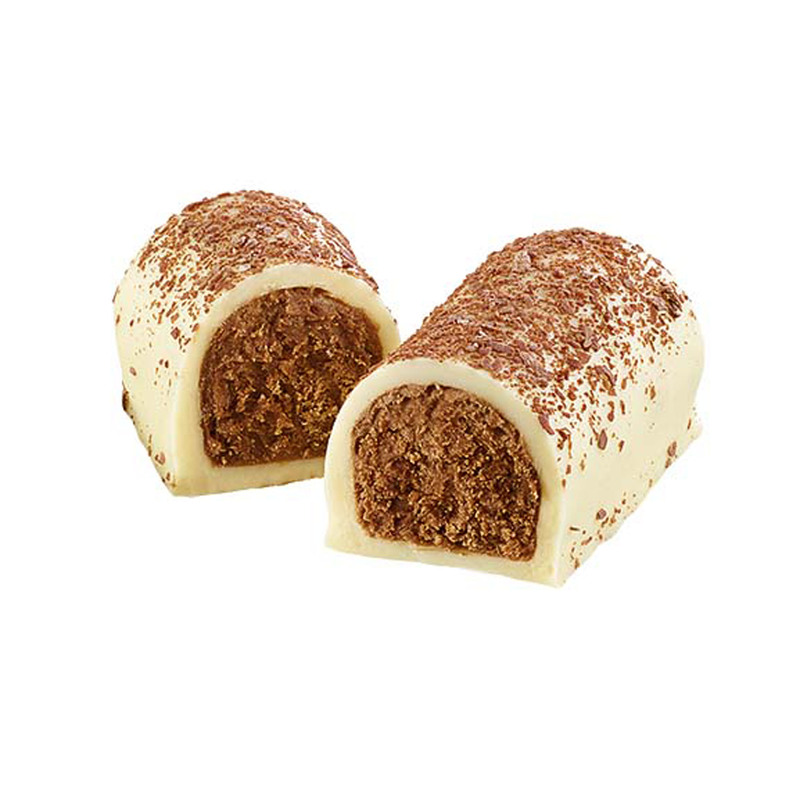 The soft cappuccino-flavoured centre is a moreish mixture of light and fluffy mousse and rich truffle, which is then covered in white chocolate and dusted with fine chocolate powder. 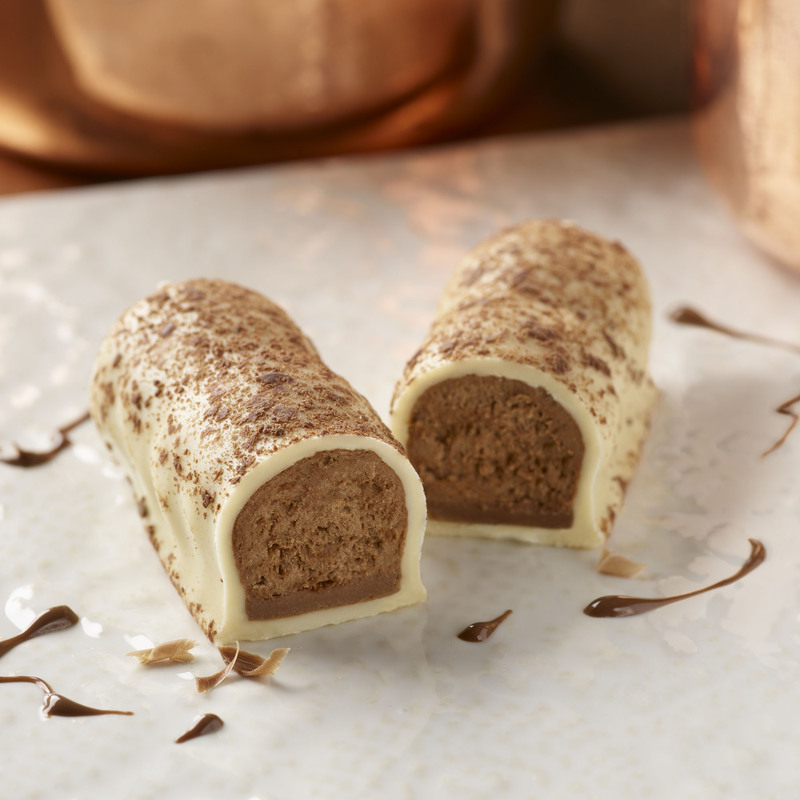 The sweetness of the white chocolate beautifully balances with the cappuccino-cream centre, making a truly indulgent treat for your coffee break. Now presented in new look packaging as part of the Favourite Flavours collection. Sugar, Cocoa Butter, Dried Whole MILK, Palm Kernel Oil, Coconut Oil, Double Cream (MILK), Butter (MILK), Dried Whey (MILK), Humectant (Sorbitol), Fat Reduced Cocoa Powder, Dried Skimmed MILK, Freeze-Dried Instant Coffee (1.5%), Emulsifiers (SOYA Lecithin, E471), Glucose Syrup, Palm Oil, Cocoa Mass, Salt, Gelling Agent (Pectin), Flavourings, Stabiliser (Invertase).